With a choice of dedicated private offices, team rooms and individual workstations this centre is fully furnished and provides a variety of solutions from OMR citys IT corridor. There are also meeting rooms and a trained team to offer business support. Office space prices ranging from ₹3000 - ₹23499 per month. Only 2.5km from the railway station and 10km from the airport this center is ideally located for domestic and international business, and provides a variety of fully furnished office spaces, meeting rooms and virtual office services. 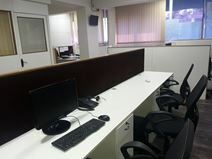 Situated on Anna Salai, a main arterial road in Chennai that is home to many public buildings and the head offices of a number of commercial enterprises, this business centre is ideally located and provides a selection of serviced offices suites, coworking spaces and meeting rooms finished to a very high standard. This superb serviced office centre provides excellent workspaces on flexible terms. 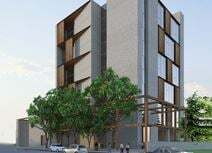 The address is easily accessible and well connected, with malls and hotels in close proximity. A well-furnished work-space with excellent amenities. Voice mail and conference calls are included. There is a courier and fax service. Conference and meeting rooms are well-equipped. There is 24 hour security. Secretarial services are on hand. Lockers are accessible to store your valuables. Located in the centre of Chennai. Kodambakkam train station is a 13 minute drive from the space. There are several bus stops close-by. In the surrounding area, there are a number of hotels, restaurants, shops, and banks. The domestic and international terminals are a 30 minute drive away. 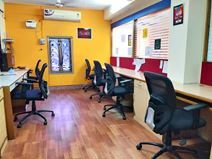 A center located in Teynampet offering affordable, collaborative and creative co-working space that welcomes a diverse range of freelancers, artists and individual workers of all disciplines. With private offices, co-working areas and meeting rooms to bring people together, synergise ideas and collate ideas. Close to Teynampet metro station, bus stops and a wide variety of facilities from food and beverage venues to retail outlets, medical facilities and government faculties so you have prime access to all you could need for your business. 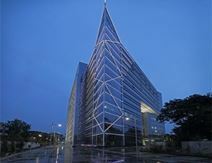 This world-class business complex features a range of amenities, and is home to various international companies. Set in an area allocated for IT development, this serviced centre is well equipped and offers a range of office space solutions. From a prestigious address on Express Avenue, Chennai this business centre supplies members with both shared and private workspace and access to meeting rooms, breakout spaces and conferencing equipment. Local amenities include hotels, plenty of shopping options and tonnes of eateries and restaurants. Opening soon - A fully furnished co-working space located among automobile enterprises on General Patters Road. Offering 24-hour access and security, secure parking, complementary beverage and cleaning so you can focus on running a business, not worrying about the little things. Multilingual staff are on site to help with your needs and with dedicated internet included, all you need to do is pick a desk, plug in your laptop, and get going. Banks, ATMs, hotels, restaurants, bars and eateries can be found nearby and the centre is a short distance from cinemas, theatres, hospitals and churches. In less than ten minutes drive you can even find yourself on Marina Beach where you could schedule in a walk in the sand after work. Strategically positioned in the heart of Chennai"s CBD this premium commercial building provides state-of-the-art office space, best-in-class conference facilities and comprehensive business services to create a corporate and contemporary office environment. Just a short walk from Chennai Metro Station this business centre offers options for both private and co-working requirements and is strategically located in the Olympia tech park. On the 8th floor of this modern office building you will find a range of fully furnished and equipped offices and meeting rooms just minutes from Chetpet railway station in the major commercial business district of Chennai. Located in Chennai this premium quality high-end office space offers co-working and serviced offices with an inspiring community. It is on a major transit corridor of the city and proximity to the airport, railway station and premium hotels. Contemporary cafeteria and a friendly reception making sure that all your visitors are greeted with a smile and can relax for a bit before a meeting. In Adyar, South Chennai, you will find this centre. The first of it's kind, this centre if India's first co-working and incubation centre for women. With over 120 incubation programs and workshops catering to a network of over 1800 female entrepreneurs and women-led start ups, this is a great place to kickstart and accelerate your business. Accessible via bus and car, with secure parking on-site, this centre is centrally located to access all facilities from cafes and restaurants, to the airport and even Elliot Beach and Besant Gardens when you need a change of scenery. Located in Chennai’s most prodigious business centers, this space is one of the most diverse co-working spaces in Chennai. Catering to all professional types; from creative individuals, entrepreneurs, startups to small businesses and Fortune 500 companies, collaboration is found to be thriving all under the same roof. With large global enterprises such as Caterpillar, Ford, Capgemini, Vodafone, and Shell located within the tech park as well as surrounding amenities including a lavish spread of F&B outlets, ATMs, retail outlets, fitness centers, and currency exchange outlets. Dedicated desk, private office and virtual office solutions are offered here with meeting, conference and event space also. 24/7 access is available, and gourmet coffee is supplied on site alongside uninterrupted internet, printers and office supplies so you can focus on business operations without hassle. This prime address on Chennai"s IT Corridor are just minutes from some of Chennai"s most sought residential and shopping districts, 2km from Tidel Park and 12km from the airport. Part of a modern business park. This space has your office needs sorted with it's flexible desk, private studio, virtual office offerings with conference and event space available also. Pour yourself a mug of gourmet coffee, supplied on site, and help yourself to uninterrupted wifi, office supplies, phone booths and business class printers to productively conduct you day-to-day business stress free. Providing an energetic working environment while creating community experience, this space provide the means to network and facilitates well through exclusive events and beautifully designed breakout spaces. Located in the historic zone of Chennai, this centre stands out with its sense of modern aesthetics. 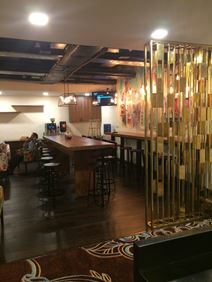 Social infrastructures provide access to retail outlets, restaurants, cafés, and an leisure destinations within arms reach to this co-working space. Also, this community gets to leverage the tech park amenities such as - a lavish spread of F&B outlets, ATMs, retail outlets, and an integrated fitness and wellness center. 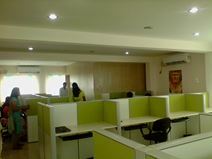 A business center offering dedicated co-working stations and private office space for startups. Month-to-month flexibility is available with included amenities like broadband Wi-Fi, reception services, boardroom access, 24-hour access, covered bike rack and so much more. Located south of the Cooum River, this center is close to malls, financial institutions, medical facilities and entertainment venues. Also close to Marina Beach and central Chennai in approximately a ten minute drive. In one the most well-known landmark buildings in the city this new age business centre / co-working platform offers a great mix of well-designed contemporary hot-desking spaces and a mix of different sized office cabins in the Central Business District in Nungambakkam. The centre in Chennai is based in one of the most preferred IT hubs and offers fully furnished co-working and serviced office space. It is close to public transportation and gives you the right infrastructure and an inspiring community. Furthermore there are a lot of hotels and restaurants located in this area. You can enjoy high-speed internet, gaming rooms and serviced smart business cafe. An excellent office space is available within a landscaped business park in Guindy, a prime commercial address just outside Chennai. There is a good road connection to the city centre, international airport and other IT districts of Chennai. Surrounded by 5-star hotels (Le Meridien & Trident Hilton), affluent residential areas, fine dining restaurants, banks and embassies. The office is located within a complex that also houses a retail plaza and other corporates such as ABN Amro, Hewlett Packard and Verizon. With easy access to the IT Corridor, 20km from the International Airport and within close proximity to a number of 5 star hotels, this Grade 1 building is in a prime area of Sholinganallur and provides fully fitted, plug-and-play office space. A simplistic co-working space. Air conditioning and WiFi are included. Flexible terms and virtual office options are available. The interior is comprised of wooden desks and chairs. Situated on Pandiyan Street. Nearby, there are plenty of eateries, hotels, banks, shops, supermarkets and shopping centres. It is a 16 minute drive to Shenoy Nagar Metro station and Guindy Railway Station. Chennai International Airport is a 28 minute car journey. Just 13km from the city"s international airport and a few minutes from Egmore Station, this landmark building id ideally located for the travelling professional. A range of shared and private office space, meeting rooms and various other facilities are available from this business centre on the 8th floor. Ideal for domestic and international companies this Grade A building is home to this centre that provides flexible and fully-equipped offices with comprehensive services and is just 2km from TIDEL Park and MRTS Rail Station. 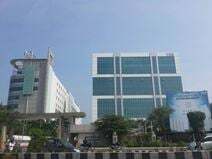 Enjoying a strategic location in the central business district of Chennai, this business centre is nearby the Chennai International Airport and also the IT parks where many international corporations are based. It is also within close proximity to key residential areas of Anna Nagar, Boat Club Road and Luz Church Road. The centre offers fully-equipped offices and state-of-the-art communication facilities to ensure a comfortable working environment. This flexible workspace has been created right in the heart of the city, to accommodate the varied requirements of a cross-section of working professionals. This workspace is surrounded by myriad of amenities such as restaurants, gyms, banks and shopping centres, thanks to its convenient location at Teynampet in the heart of Chennai city. It is also less than 10 minutes from Alwarpet and Teynampet Metro station is close by too, to make the journey to work that little bit easier. 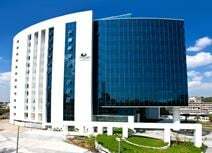 Just 13km from the international airport in the major commercial business district of Chennai this landmark building provides fully furnished executive suites as well as shared or private office space from the 7th floor. This centre is situated in one of the fastest emerging business districts in Chennai. Close to a variety of amenities, this centre offers serviced and virtual solutions at affordable prices. Fully serviced & furnished plug and play office spaces available in a central Alwarpet location just minutes from other businesses shopping malls and cultural centres. This business centre provides modular workstations fully equipped with LAN / Wi-Fi internet in a location that is just a 10-minute drive from the airport. The office space is flexible in its rental period and is ready to provide plug-and-play office accommodation.